Karen Atta, 61, is a classically trained sculptor. She is the founder and owner of Atta Studios, a sculptural fabrication powerhouse located in Chelsea, New York. 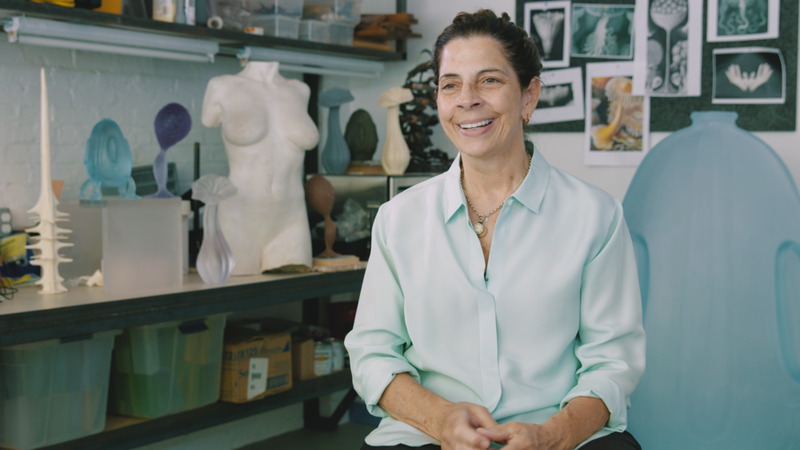 From fabricating portrait statues for the WWE Hall of Fame to creating numerous special performance pieces for Lady Gaga, Karen has made an undeniable mark on the industry as a leader in unique hand-made objects. If you ever get the chance to walk the Highline in New York City, check out the beam exploration area at Highline Pershing Square. Karen and her team did that too! Not slowing down in her sixties, Karen is moving forward with a special personal project we hope to see in a gallery in the near future.